Vol-Con Lite -- includes built in safety check. 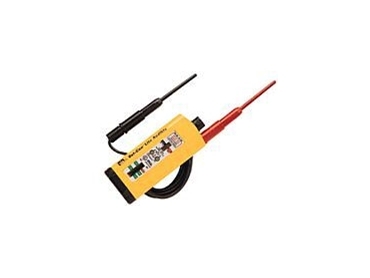 IDEAL Industries Vol-Con Lite audible voltage continuity tester combines all the product features of the standard Ideal Vol-Con with a new smaller size and patented automatic switching function between voltage and continuity testing. Available from CLC Tech , this heavy-duty voltage tester is designed for testing voltages 6V to 480V ac or 120V to 240V dc. The unit gives a continuous "beep" when continuity or dc voltage is detected, and a continuous "chirp" when ac voltage is detected. Features include built-in safety check for operator safety as well as spring loaded safety shields on the test probes.